Eviction is disruptive to both the landlord and the tenant. The landlord must spend the time and money to replace tenants who fall behind on rent, and a displaced family must locate a new home under traumatic circumstances. With this scenario in mind, I help mediate disputes when eviction is undesirable. If you are a tenant who unfairly faces eviction, I protect your right to remain in your home. If you are a landlord whose tenants are engaged in disruptive, illegal or damaging behavior, I help you to protect your property and your business. Las Vegas, Nevada real estate litigation attorneyThe Ashley Law Group is located in Las Vegas, Nevada and serves clients throughout the Las Vegas area. 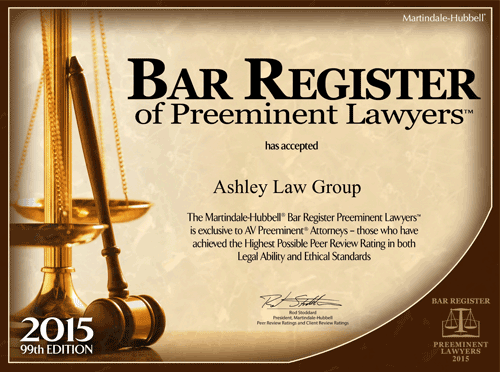 To schedule an attorney consultation, call the Ashley Law Group at 702-837-6605 today or contact me online.